When you designate an annual donation to the greatest needs in CEHD, it becomes part of the Fund for Excellence. You will assist students facing financial crises, initiate programs, build community partnerships, and contribute in many other ways to CEHD’s mission. A recent example of the power of annual gifts of all sizes is the Teacher Educator Technology Integration, or TETI, initiative. To launch this critical program, Dean Jean Quam turned to gifts from alumni and friends that were allocated for college priorities. Understanding new technologies has become a fact of life, from using the latest software platform at work to checking a Gophers game score. In recent surveys, graduates reported they felt well prepared to teach but were competing for jobs in school districts with highly advanced classroom technologies. At the same time, research showed that just one class on technology wasn’t enough. “If the people preparing future teachers aren’t comfortable with technology or can’t model its use, they can’t help teacher candidates,” says associate dean Deborah Dillon. Last year, CEHD piloted the TETI initiative to provide professional development for the faculty and staff who prepare teachers. In the pilot program, 27 teacher educators participated in workshops, discussion groups, and individual coaching with technology specialist Yeng Chang. Those 27 teacher educators in turn impacted 125 teacher candidates. TETI has been a major success, with teacher candidates hired specifically because of their technology proficiency. CEHD is making sure teacher candidates graduate with the expertise and comfort level necessary to use technology in their classrooms to adapt lessons and engage students. 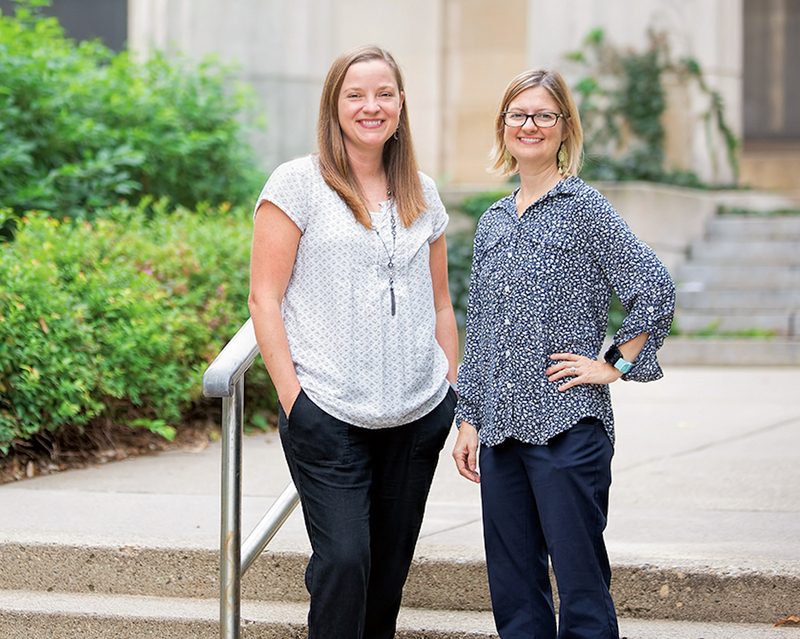 “Because of donor support, I am using technology to level the playing field in my classroom,” says Amy Kunkel, PhD ’15, a lecturer in special education in the Department of Educational Psychology, above left. CEHD has among the highest participation rates of alumni giving across all U of M undergraduate colleges. Collectively, our 70,000 graduates can have a big impact with gifts of all sizes supporting programs like TETI. Your support is crucial to continued innovation. Thank you! Support the CEHD Fund for Excellence at cehd.umn.edu/giving.